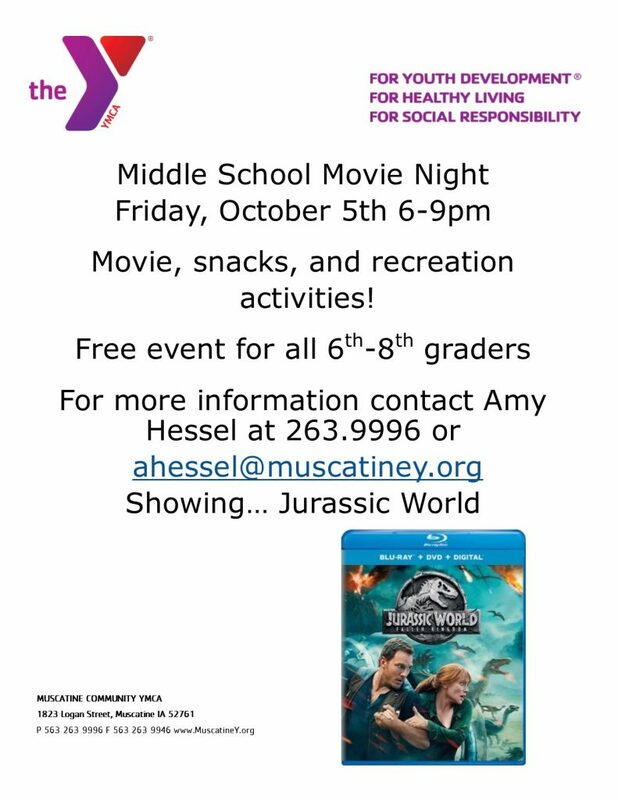 Description: The Muscatine Community YMCA will be hosting a Middle School Movie Night on Friday, Oct. 5th 6-9pm. The event is free for members and nonmembers. There will be a movie, snacks and recreation activities during the evening! The movie will be “Jurassic World”. For more information contact Amy Hessel at the Y.